BALTIMORE — A recent crackdown on fraudulent tax returns has netted four more indictments against Maryland tax preparers. Maryland Attorney General Brian Frosh and Comptroller Peter Franchot announced the charges against the four preparers, two of them residents of Prince George’s County, as part of their joint effort to tackle the practice. Darwin Acosta, of Prince George’s County, was indicted by an Anne Arundel County grand jury Jan. 20 on charges of felony theft scheme and identity fraud after he was caught preparing and filing fraudulent tax returns using other people’s information in 2014. He personally made $53,700.73 off those fraudulent tax returns, authorities said. Evelyn Thompson, also of Prince George’s County, is accused of including false information on her clients’ tax returns to inflate their refunds from 2014 to 2016. She also was not a licensed tax preparer, but charged her clients preparation fees and did not report that income on her own personal income tax returns, prosecutors said. She was charged with felony fraud theft scheme. Two other people were indicted by an Anne Arundel County grand jury for their crimes. A Baltimore woman used her clients’ personal information to file fraudulent tax returns from 2005 to 2009 that unlawfully gave her more than $80,000. 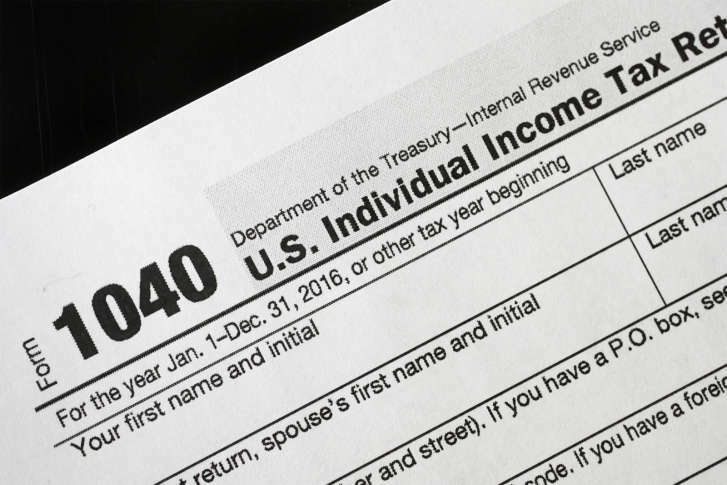 A Baltimore County man inflated his clients’ tax refunds and personally made over $10,000 through that scheme. Frosh said his office has seen a year-over-year increase in fraudulent tax returns. Numbers provided by his office show the number of fraudulent returns climbed from the hundreds as recently as 2009 to nearly 20,000 in 2015. Last year saw a decrease, which Franchot credited to a previous fraud bust. He also credited new technology for catching the fake returns and Frosh as attorney general for prosecuting these offenders. Franchot said his office does not have the power alone to go after tax fraud suspects. Now that he has the support of the attorney general’s office, they have been working together to stomp out this fraud, he said. Frosh noted that he was a victim to this crime in 2015 and reiterated that tax and identity fraud can happen to anyone, even the state’s attorney general.